There is a prophesied end-times war in the Old Testament book of Ezekiel that will once again unleash God’s divine power to utterly destroy an enemy that comes against Israel. Ezekiel says God will turn this enemy about and put a thought in his head to come out of the north to attack. He adds God will route this enemy (plant a maddening thought) causing its forces to turn their weapons on one another. 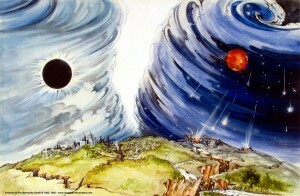 And he says a tremendous earthquake that crumbles surrounding mountains and fire from heaven will finish this enemy off. 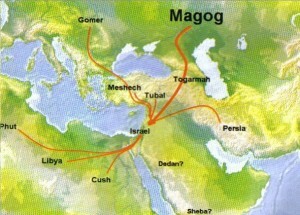 The enemy prophesied is Gog of the land of Magog, the prince of Rosh, Russia, who will deploy out of his country to partner with an unholy alliance to take Israel as a spoil. 3 and say, ‘Thus says the Lord GOD, “Behold, I am against you, O Gog, prince of Rosh, Meshech, and Tubal. 6 Gomer (Armenia and portions of Turkey) with all its troops; Beth-togarmah (Gomer’s son with him) from the remote parts of the north with all its troops-many peoples with you. See: Turkey Drawing Away from NATO – Warming Ties with Moscow. Today those on the Russia Gog watch are focusing on former KGB Colonel and current Russian President Vladimir Putin who continues to arm the radical factions of Islamic Jihad that will join Gog in his Ezekiel 38,39 battle. (See: Syrian official answers Netanyahu: We will use all available means to recapture the Golan; Iran Commander: We’re Getting Prepared to Overthrow Israel – Israel wary of Russian military build-up in Syria; Putin’s Sinister Role in Failed Turkish Coup. If Putin is Gog, Ezekiel 38:3, 4 says God is “against him” and will “turn him about and put hooks in his jaws to bring him and his forces into the land restored from the sword” (vs.8) where he and his allies will be destroyed. Revelation 16:13-16 gives more detail on this “hooking” of God’s prey as John reveals demonic influence that draws the victims of Armageddon to their doom. When God says, “Behold, I am against you,” and says it twice, that’s doom-frightening, because Peter says the “Lord is patient, not wishing for any to perish but for all to come to repentance” (2 Peter 3:9). Reference the Great Flood and decimation of Sodom and Gomorrah (Gem 7; 19). Zechariah 14:12 describes a last-days battle in which God’s enemies’ tongues rot in their mouths, eyes rot in their sockets, and flesh rots where they stand. Ezekiel says there will be a great earthquake that crumbles the mountains (Ezekiel 38:19,20) and describes a routing (God provoked thought-inducing madness) that will pit Gog soldier against Gog soldier (as occurred in Jehoshaphat’s war with Moab and Ammon [2 Chronicles 20]). Divine fire from heaven will finish Gog and his allies off (Ezekiel 38:21). After, their bodies will be offered to the birds of the air as a sacrifice (39:4), burial will take place for seven months in the valley of Hammon-Gog, and the battle’s weapons will be burned for seven years (39:11-16). 28 “Then they will know that I am the Lord their God because I made them go into exile among the nations, and then gathered them again to their own land; and I will leave none of them there any longer. 29 “I will not hide My face from them any longer, for I will have poured out My Spirit on the house of Israel,” declares the Lord God. 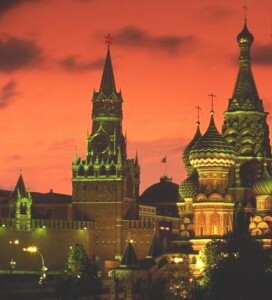 Russia’s had a murderous, strangling. stronghold throughout its history. The 1917 communist revolution was in response to their royals’ tyranny. The Tsar was a murderous despot. The torturing, murdering, communist regime that followed made the Tsar look like an Eagle Scout as they terrorized and killed any who thought unpolitically correct thoughts. Like his 20th-Century predecessors, Putin is no one to be trifled with, and is having a heyday with the West’s weak resolve. He wants to conquer and reintegrate former Warsaw Pact countries they enslaved after WWII then lost when the USSR folded. And he viewed the past White House as a pawn on a chess board he could easily move. The Trump Administration is moving as quickly as possible to repair the situation. The Obama Administration’s astounding alliance with Iran at the expense of America’s historic pacts with Israel and Saudi Arabia produced Saudi Arabian airstrikes on Yemen. They are the inquisitive onlooking accusers in Ezekiel 38:13 who are identified as Sheba and Dedan (born to Abraham’s second wife Ketura). Today they are moving closer in alliance with Israel for their disdain of Iran. Prince Mohamed Bin Salman has made impacting nation changes moving them away from hardline Islam and recently called Iran’s leader the New Hitler. Very interesting. Also See New Saudi Prince Commits to Eradicating Terrorism and Revolutionary Guard-head Accuses Saudi Arabia of Treachery Against Islamic World. And see Saudi Crown Prince Says Iran’s Supreme Leader Makes Hitler Look Good and Saudi Arabia’s crown prince slams Obama’s Iran nuclear deal, backs Israel’s right to exist. So eschatology is on the move. Citizens on the ground today say there is no Russian nationalist threat in Ukraine, and never has been since the USSR disbanded. Putin’s propaganda plan states the opposite, claiming Russia’s nationalization of Ukraine, like Crimea, will bring protection and peace to the propagandized unrest. The drop of oil prices recently brought Putin to the UN negotiation table to stop his Ukraine invasion. 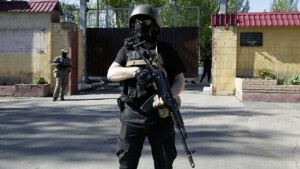 The huge men in the black ski masks aren’t pro-Russian Separatists; they’re Russian Special Ops. Only the naive could think otherwise. Attacks continue after his agreement to cease. His alliance with the Syrian government just saw Russian troops deploy to that country Russia Puts Boots on the Ground in Syria. Once this all boils down, and it will, maybe Putin will have fulfilled his initiation as the Eschaton’s antichrist. Ezekiel’s battle is probably one in the same with John’s Revelation 16 and 19 Battle of Armageddon. Let’s speculate. Why would there be a second battle after Ezekiel’s battle culminating words? 8 “Then they will know that I am the Lord their God because I made them go into exile among the nations, and then gathered them again to their own land; and I will leave none of them there any longer. 29 “I will not hide My face from them any longer, for I will have poured out My Spirit on the house of Israel,” declares the Lord God. The mushrooming alliance is staring us in the face, and anything could break tomorrow. 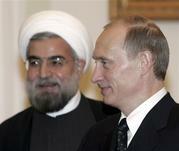 Possibly Putin will fade from the scene before Ezekiel’s battle and a successor will fulfill the role. Regardless of his presence, hermeneutic key words and events of the two biblical battles certainly connect. Possibly western mission creep will allow the former KGB colonel to evolve to a pinnacle of political power where he affects Daniel’s 9:27 week of peace initiating the Abomination of Desolation (Great Tribulation). He has great influence with the anti-Israel nations of Iran and Syria. He recently forged a new military pact with Iran. See Russia & Iran forge military compact as Iran & Hezbollah vow massive attacks on Israel’s northern tier; and The Iranian Dream of A Reborn Persian Empire; Russian Missile Sales to Iran Cross “Another” White House “Red Line”; and Iran is massively ramping up arming of Hezbolla in preparation for a major assault on Israel. Also see my article: Iraq in Prophecy? the Iranian Dream …and now the President Trump has committed to moving the U.S. embassy to Jerusalem, Iran Commits to Defending Palestians. If Putin is able to affect such a covenant as foretold in Daniel’s prophecy, it won’t be by his own power, but by God’s who will be working His final move of worldwide salvation through His latest political tool. The divine judgements that vanquish God’s foes in Ezekiel 38, 39, and Revelation 19 are definite key event connections. However, there are different events mentioned by Ezekiel and John. And to be theologically practical, any good eschtatologian must look at them. First, unlike John’s Battle of Armageddon where the antichrist and false prophet are instantly cast into hell while their allies are killed by the sword of the Spirit in Jesus’ mouth (Revelation 19:20,21): Ezekiel predicts a seven month burial of Gog’s dead that will be conducted by Israel over a period of seven months (Ezekiel 39:11-16). The carcasses of the dead at Armageddon and Ezekiel’s battle are both eaten by the birds, but it is in Ezekiel only that the burial and, and burning of Gog’s weapons is mentioned (Ezekiel 9:9,10). Could this happen understanding John’s revelation simply kept it out? Though it seems strange, the first seven years of the Millennium that follows the Second Coming of Jesus could see the burial of the Second Coming’s dead over a seven-year period. 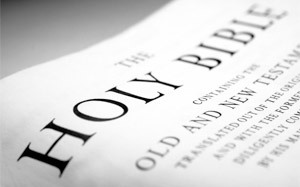 The Bible’s prophetic record has always flowed through human vessels, and like the Gospels, Mark, Matthew, Luke, and John share the Holy Spirit’s account, but with differing events. Only in John do we see the resurrection of Lazarus. Only in Matthew do we see the resurrection of saints in Jerusalem when Jesus gave up His Spirit. The four synoptic Gospels also give different accounts of Christ’s miracles. And only Luke tells us of Jesus’ appearance on the shore of Galilee where he ate before the disciples and showed off His resurrection body. This is why Ezekiel and John’s revelations of the Second Coming, each sharing differing events not revealed by the other, could be the same event. Again, hermeneutics, not special revelation, make sense of the texts. Study the key events revealed by both prophets and judge for yourself. You do the study. You make the call. Events are lining up in the Middle East that show the alliance of Gog with Persia (modern Iran, the former entire Middle East) as suggested in Ezekiel 38 building on front page news. The American Administration’s rejection of former strong ties with Israel in favor of its mortal enemy Iran further builds a case for Ezekiel’s coming battle. It is up to us, the church, to recognize and pray for God’s will on earth as it is in heaven. Yes, we do see through a glass darkly now in our present age. But we can see. The Battle of Gog is coming. Let’s keep looking up.